The Boys are forced into action as a surprise development threatens to reveal their presence on Isla McFarlane. The Supes are leaving – but exactly what has happened to the Homelander, and what are his intentions now that Vought have set the scene for Vic the Veep’s next great political leap forward? 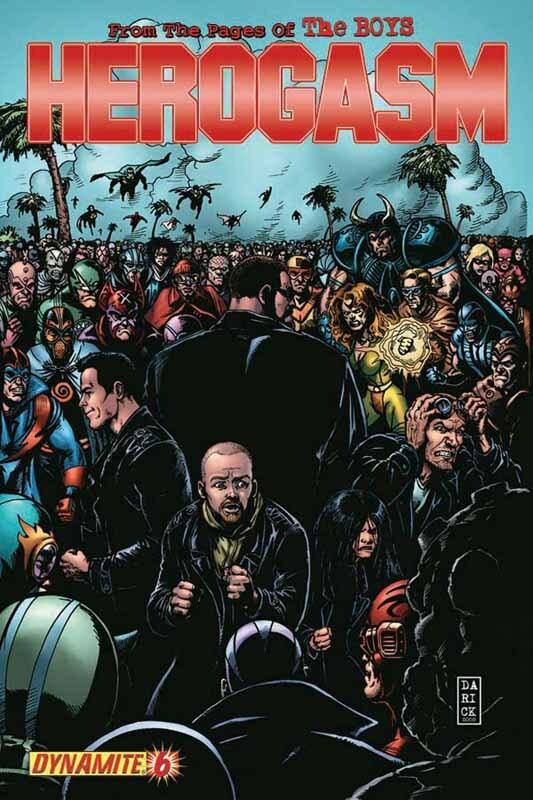 Sudden death and shocks galore, as Herogasm shudders to its gasping, spurting climax.